Find out more about some typical German things in the book: “German men sit down to pee” or “Schrebergärten”. The books are currently on our special shelf in the entrance area of the library. 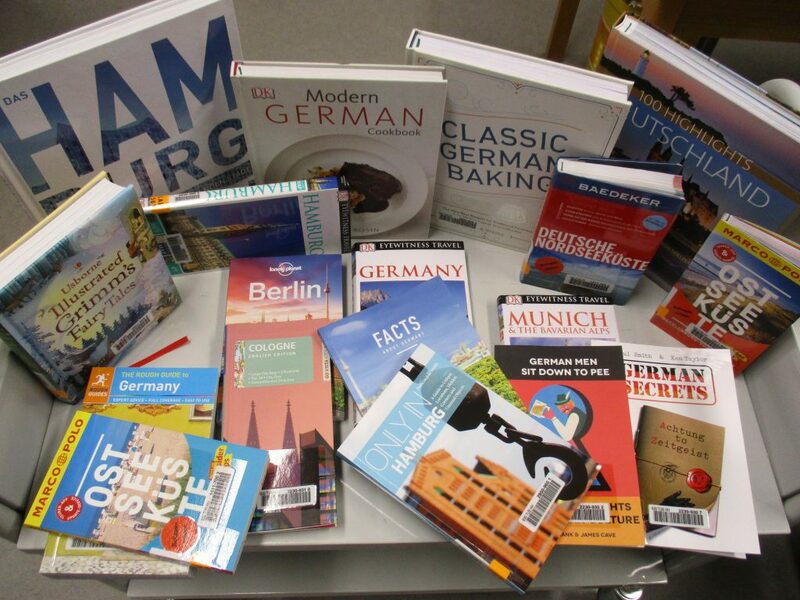 In the future you will find some of these books in room 1.006 (in the corridor behind the upper reading room), where the other language course materials are located. This entry was posted in News by Detlev Bieler. Bookmark the permalink.